Land Surveys Peterborough | Home | Elliott & Parr Surveyors Ltd.
Elliott & Parr Ltd. is a full-service firm that partners with clients throughout the Kawartha Lakes to conduct accurate, timely surveys. Elliott & Parr Ltd. is a well-established land surveying firm based in Peterborough, Ontario. 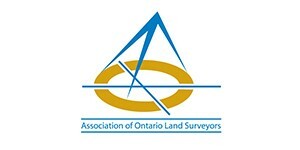 Proud members of the Association of Ontario Land Surveyors, clients throughout the area know they can depend on our team for the production of many different types of plans and charts compatible with the Geographical Information System. Please get in touch with us to order a land survey or request more information about our services. Our expertise will help land owners, the legal profession, the real estate and development industry, local governments, utilities, financial institutions, etc. to accelerate the numerous stages of land recording and management. Our services are crucial in the facilitation of new construction and alterations, the simplification of buying, selling and transferring land, and the calculation of square footage, among many other reasons. The team at Elliott & Parr Ltd. is outfitted with state-of-the-art technology and programs to provide comprehensive land surveys and geomatics to our clients. We continue to explore the ways in which new technologies can enhance our solutions and improve key metrics including speed and cost. Some of our well-known projects include Trent University and Lansdowne Place. We conduct land and boundary surveys as well as surveys related to provincial statues.